The U.S. Military has been facing the threat of drones, including commercially available ones, capable of spying on and attacking U.S. forces. The threat of massive swarm attacks, whether by sophisticated systems or simple, low-cost DIY UAVs is a matter of concern for modern armies. While previously the solution to these sorts of attacks would incur a significant cost in ammunition, lasers could take them down for pennies at a time. In response to the need in more advanced anti-drone solutions, Raytheon has developed the High-Energy Laser Mission defense, though there are still challenges which need to be tackled before the system can be operational. 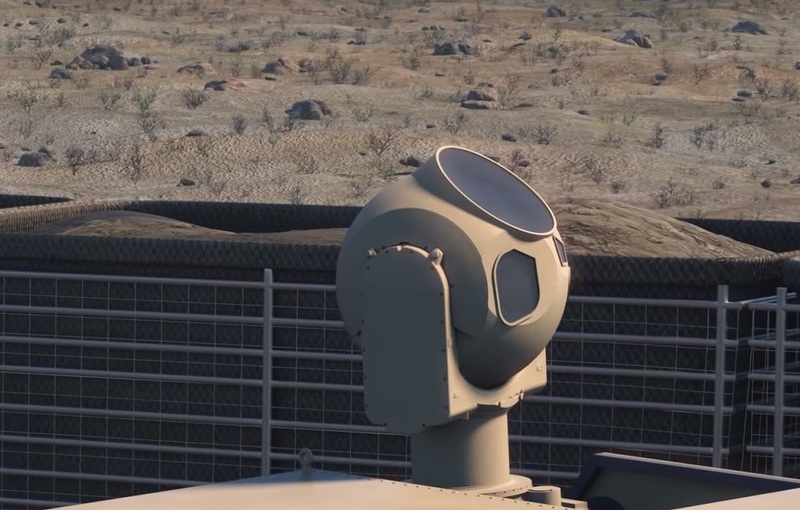 The video shows the multi-spectral targeting system; a laser system miniaturized enough to be mounted on a small buggy. The video shows the system protecting convoys and bases from unmanned aerial vehicles (UAV) swarms, helicopters, and incoming rockets. Earlier, in March, Raytheon announced the laser had taken down 12 maneuvering class I and class II UAVs. Mortar rounds were also destroyed, but they were stationary targets. Effectively tracking and engaging midair incoming artillery with enough precision remains the problem. Until such a system is developed, the laser weapon will not be as effective. Advances in several fields, such as power supplies and energy efficiency, have allowed laser technology to be miniaturized enough so that today they can fit on a buggy. Nationalinterest.org evaluates that there is no doubt that the system will one day be able to most of the things it sets out to do, though perhaps not to the extent of making bases completely unassailable. How to Confront Drone Swarm Attack?